Join us for Takoja’s annual gathering in the beautiful and serene landscape of northern New Mexico to celebrate the resonance and sacredness of our Mother Earth! The landscape of Takoja is a gateway to natural medicines and creativity; working in unison to provoke new understandings of health and wellness. We are collaborating with artist Lily Reeves Montgomery, developing programming that will employ healing arts to build empathy, vitality, and resilience in the body, mind, and spirit. In parallel with the daily workshops, contribution projects will also take place: attendees are encouraged to participate daily in these activities. $100/day | Full Day Rate | Includes lodging, workshops and meals. $50/day | Non Retreat Day Rate | Includes lodging, excludes meals and workshops. If you are interested in teaching a workshop please click on the link below to share more details! All rates apply for lodging or camping on site | Guests are required to attend all four days of programming. Guaranteed lodging inside is limited to 20 participants – first come, first serve – so register early. Camping is unlimited. This workshop consists of a contemplative, guided walk informed by environmentally-focused healing practices such as shinrin yoku, horticultural and eco therapy. Participants will explore the ecology of the landscape while engaging in a series of sensory experiences focusing on reflection and deep listening. Participants will cultivate a deeper connection with the Takoja landscape by engaging the mutual benefits of nature connection, with the intention to support a creative culture that will resist climate crisis and ecological devastation.The walk will end with a tea ceremony comprised of foraged plants from the landscape. Guests will be introduced to Adriene Jenik's creative practice – public performances that engage about climate change/environmental crisis and human impacts through use of the symbolic system of the tarot. 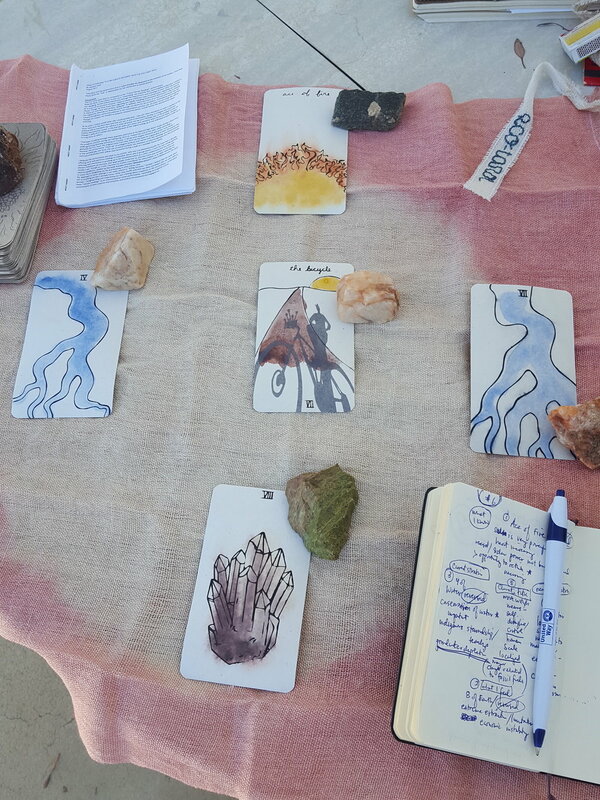 Jenik created an ECOtarot deck which she performs and shares the interpretive text. Participants may bring their own decks if they have them. Janik will also present on Drylab 2023, a Science-Art project of Arizona State University. From May 13 until June 10, 2017 eight ASU students, pursuing a mixture of art and sustainability degrees, enacted a very near future in a remote location in the Mojave Desert. During the project participants were permitted 4 gallons of water per person per day and eat a water-wise diet (no meat, no dairy, only fruits/vegetables and grains that grow with moderate water in the desert southwest). Within this context of resource scarcity the participants could self-organize how they would govern their limited resources. With roots in purification, the sweat lodge is a sacred space to meditate, pray, and communicate with the self and universe. Our workshop experience will act as a medium to learn more about sacred elements, totems, and the medicine wheel. The workshop concludes with an opportunity to join in a sweat ceremony...a time and space for you to give back to the earth to gain emotional, social, and spiritual strength. Takoja has many gifts that can awaken thoughts of spirituality, and illuminate corners of our spirits: one of these is the light of the full moon. The full moon can stimulate the subconscious mind and heighten our ability to feel, giving rise to thoughts and reflection, and space to commune with ancestors. Joining in ceremony, you will be led on unique voyage through the landscape by some of our featured artists and workshop leads; a unique opportunity to re-discover yourself through mindful meditation, and celestial resonance. Thai Yoga, sometimes referred to as “the art of healing touch” is the only body-based modality of its kind. It combines yoga, acupressure, and massage to create a moment of surrender. During this session guests will work in pairs to move through passive hatha stretches, increasing range of motion and mobility while promoting deeper energetic cleansing and connection. Guests will learn a seated sequence and the opportunity to gain an appreciation for mindful and consensual touch. Romero is a certified yoga instructor, Tibetan Reiki practitioner, and visionary. She fulfilled her 200-hour teaching training on the beautiful and peaceful north shore of Bali, Indonesia. 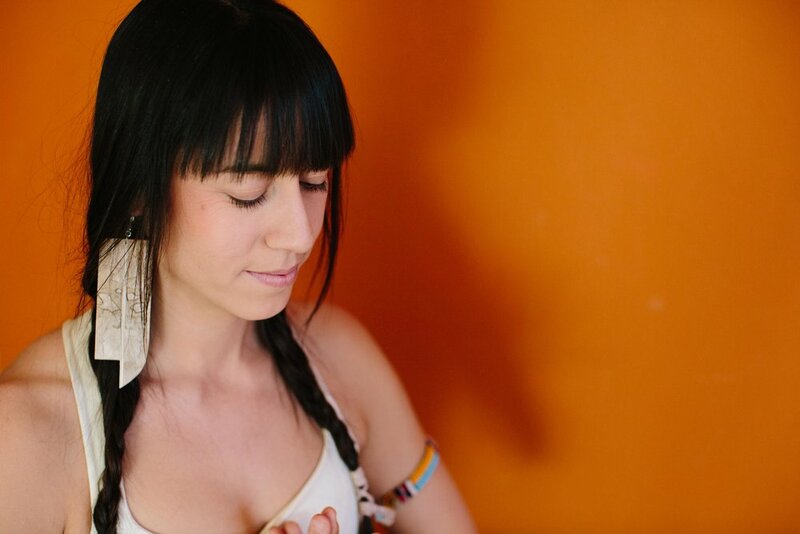 Having taught yoga in California, Hawaii and currently in her native desert home of New Mexico, Andrea is honored to share movement and breath with Takoja community. Join morning yoga sessions to awaken the body and spirit! Enjoy a slow paced, energizing flow with breath work throughout. We will move through a variety of yoga postures, gentle movement sequences and guided relaxation to cultivate heightened awareness and mindfulness of breath and body. An ultimate sense of wellbeing to begin your day. Maga J. Ayala is a women's leadership coach, certified sound practitioner, and energy healer. 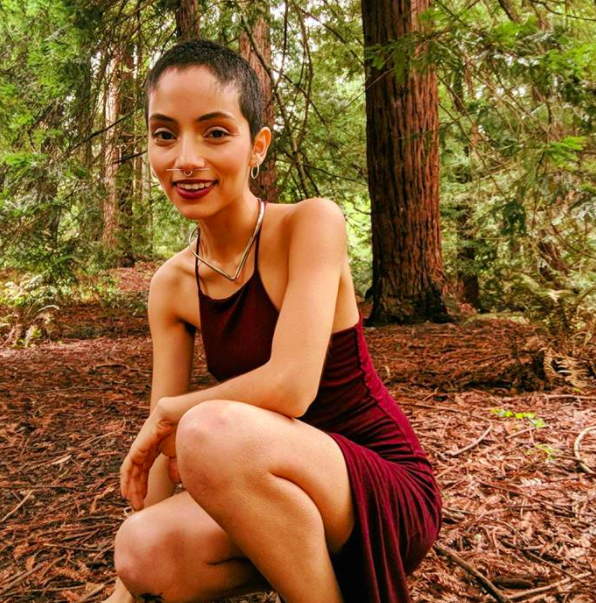 She works with women to help them harness the cyclic nature of their menstrual cycle in order to birth their creative projects and businesses into the world. Maga weaves her voice work and energy healing into the women's circles she facilitates that guide women to reconnect to their bodies, voices and their unique feminine spirituality. Takoja's annual curator and coordinator, is a sculptor working across all mediums, with a current emphasis on light art and performance. She received her BFA from Alfred University in 2015, and is currently pursuing her Masters in Fine Arts at Arizona State University. Her work is heavily influenced from southeastern folk art and southern gothic literature, and she uses light as a visual metaphor for the phenomena of life. By using ritual and supernatural aspects in her performances and installations, she comments on the decline in the variety of outlets for this shared spiritualism, and creates a metaphysical environment that speaks to this awe-inspiring presence of life and interconnectivity which we so often dismiss. James Clark is an Ayurvedic Cook based in Albuquerque, New Mexico. Propelled by a deep love for feeding people and nature, James has 9 years of experience in the food and service industry. Practiced in a variety of cooking styles, both western and eastern, he has developed a particular penchant for health-conscious cuisine – ranging from vegetarian and vegan, to paleo and gluten-free. With a background in vedic astrology, yoga, and occultism, he believes cooking and food are more than just sustenance. After studying astrology and Ayurvedic cuisine in India, he came to understand food as medicine, a ritual and conversation between you and nature, and an integral facet of the communal experience. James strives to encapsulate this love and passion for food in order to offer nourishment for not only our bodies, but our hearts and spirits as well.